The Insta-Inspire Photography Retreat was once just an idea my friend came up with and I was crazy enough to hop on board and now round two has commenced and we're already planning year three! Salt Lake City was the scene of the crime of 2018 and it was unbelievably gorgeous! My family joined me for a few days before the retreat kicked off and we had a blast. We went to museums, played at local parks, took an ATV up a mountain and took day trips to Ogden & Park City. It was a place I never would have taken my family on my own accord, but having the retreat as a reason to go was such a wonderful bonus to it all! But back to the retreat...it, too, was fabulous. Our intention with Insta-Inspire has always to have an intimate, interactive weekend where Instagram followers become friends. For anyone who has a passion - whether it be photography, sports, cooking, knitting - you can imagine how inspiring and encouraging a weekend with people who love what you love can be. I think we accomplished our goals and the feedback has been amazing. I'm leading up another year for 2019 and have the planning trip booked with the team the first week in August. Any guesses on where we'll be next? In the meantime, enjoy some images from the fun at Insta-Inspire 2018! Whitney Williams of Sweet Wally Photography specializing in capturing motherhood. She is a maternity and lifestyle newborn photographer serving Bowling Green, Kentucky and Nashville, Tennessee, and leads the team organizing the Insta-Inspire Photography Retreat. 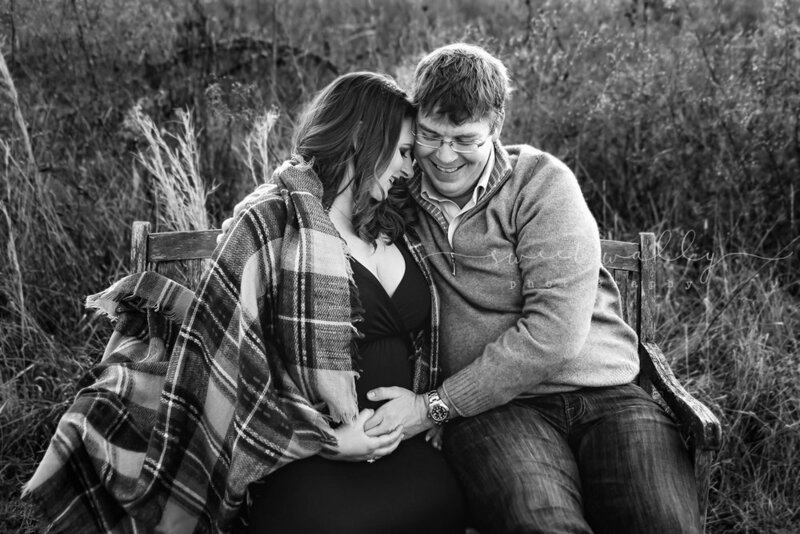 A maternity photography experience is the start of the final stages of getting read for baby. Scheduled between 28-32 weeks, the session marks the beginning of her countdown to motherhood and it is a treat to capture every time. And when one of my Sweet Wally mamas arrives with hair and make-up done and a gorgeous dress, I am literally the two hands praise emoji come to life! This gorgeous woman did just that. And she and her husband were a dream to work with, and we created some sweet images to decorate their home and their baby girl's nursery. Nothing better than a photo of an in-love mom and dad hanging in a baby's room! 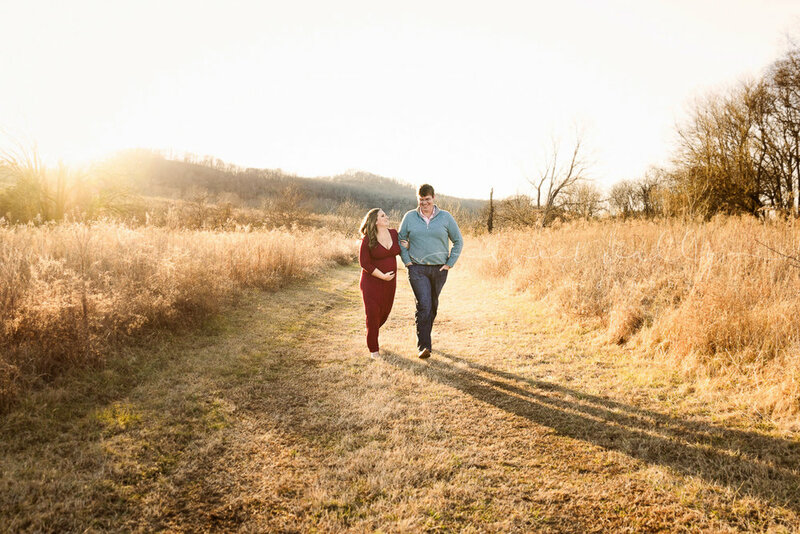 Enjoy this sweet couple in their outdoor maternity sunset session in Nashville! And if you have any questions about anything else session-related, I'm always happy to discuss. Just reach out here and we'll get started! Whitney Williams of Sweet Wally Photography creates custom photography experiences for women becoming mothers. She is a lifestyle newborn and maternity photographer serving Nashville, Tennessee, and Bowling Green, Kentucky. And she loves to travel so reach out if you are outside of these areas! If you've taken a peek at my website, you may catch on to the fact I'm all about capturing motherhood. I never set out to do this - it's just what I gravitate to and somehow it became my thing: mamas, with babies in their arms and a loving look in their eyes. Every mother I've been lucky enough to capture - whether she has just started her journey or is sliding into the home plate that is being a grandmother - has left me feeling excited, There are crappy things in this world, but with these mamas in charge, raising their babies with that look of empowering love on their faces? I tell you what, good things are up ahead. Because a child who is loved by her mama is a child who can do great things. Cheers to these amazing women on this day of celebrating them! Happy Mother's Day to anyone who mothers someone in some way. You're doing great. Whitney Williams of Sweet Wally Photography creates custom photography experiences for women becoming mothers. She is a maternity & newborn lifestyle photographer serving Nashville, Tennessee, and Bowling Green, Kentucky. "I capture motherhood. I'm a maternity and newborn photographer." "Oh that is so sweet! I just love those babies in those cute crochet outfits & beautiful baskets!" "Actually, I'm a lifestyle photographer so my babies aren't posed. Just a sweet baby with her family." "Do you have a studio?" "No, I always photograph my families in their own home." Lifestyle newborn photography isn't much of a known name outside of the photography world. When one hears newborn photography, she typically thinks posed baby, cute hat, adorable background, Anne Geddes. It is beautiful. It takes a real skill. But it's not me at all. So that leaves me to explain the type of newborn photography I love to do: lifestyle newborn photography. It is unposed, relaxed, no props, no background. It's just your family, your home, your new life. I picked up a camera to tell the story of my children's daily lives, and that desire translates into my professional work. I want to tell the story of you bringing home your first baby and how the dog whimpered every time she cried. I want to document the craziness of bringing home your second with your oldest still in diapers and how he suddenly looked like a big kid overnight. I want you in the photos, with all of your new parent tiredness shining through - but also with that look of awe you inevitably get when rocking your baby in the nursery you spent hours putting together. With a lifestyle newborn photography session, I come into your home to capture the special moments of your family: siblings holding the little one, dad mastering the swaddle and all the funny in-between moments of the dog jumping on the couch and trying to steal the show. I photograph the little touches in the nursery that means so much to you. I freeze this fleeting moment in time when all is new and fresh and full of promise. With a lifestyle session, you'll not just say "Remember when..." You will be able to pull out the album and say "Look, this is when..." And all the memories of those first few weeks as a growing family come flooding back. It is a gift to have and I see it as a gift to capture. If this style speaks to you, I would love to have a conversation about documenting your family. Let's start chatting here! And SUPER FUN sidenote: a few of my photographer friends are doing a blog circle! I'm honored to send you off to my friend Tanya Moon. She's a lifestyle photographer in Columbia, TN, just south of us here in Bowling Green, Kentucky! She's a black & white photo lover like myself, and I am in love with her compositions. You will be too! Whitney Williams of Sweet Wally Photography creates custom photography experiences for women becoming mothers. 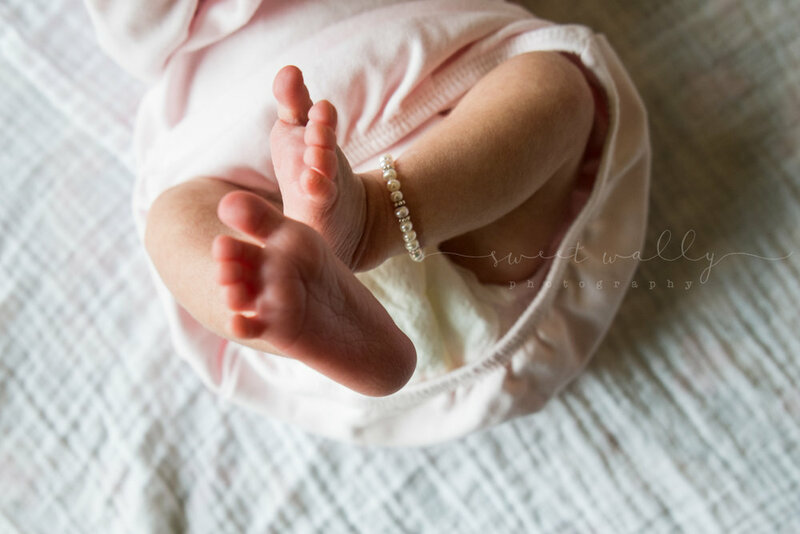 She is a lifestyle newborn photographer in Bowling Green, Kentucky and Nashville, Tennessee, and she is available for travel. Two sisters. Nothing better to capture. This combo is especially close to my heart since my sister and I are so close, and I can just imagine the adventures for them up ahead. And these two and their mom and dad are now adding a baby boy to the mix and what new adventures will be discovered with another little one in line! I captured this growing family during a sunset session in Nashville. The gorgeous light, that flowing maternity dress and the cutest kiddos made for some captured moments I hope they enjoy of many years to come. If your family is expanding and you'd like to celebrate by capturing this special time in images to keep, I'd love to chat about getting that together. Please reach out here to start chatting! 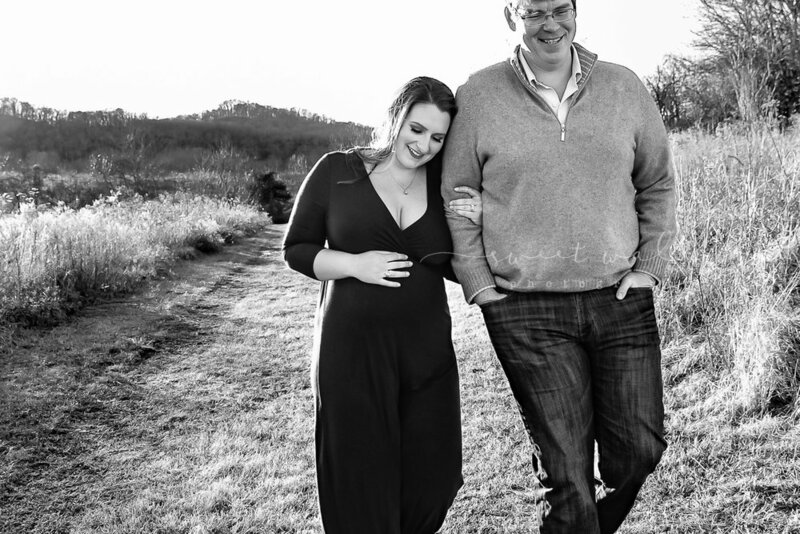 Whitney Williams of Sweet Wally Photography specializes in capturing motherhood for families in Nashville, Tennessee, Bowling Green, Kentucky and surrounding area. I'm also a big goals person and no better time to write down those goals than in the new year! Actually, I'm a fan of writing down goals just because it's a Monday, so you can imagine the excitement that the turn of a calendar brings me. 1) Find a mentor. I see some inconsistencies with my portfolio that I'm coming up short resolving on my own. And coming from a business background, I have seen, read and felt the positive outcomes of working with someone who is where you want to be. So enlisting a photography mentor to help with my other goals is priority numero uno. 2) Apply to Click Pro. My photography journey began and continues with ClickinMoms, and since I posted my first photos for critique on the forum in December 2014, it has been my goal to be among the Click Pro crowd. Click Pro is "a modern network of highly skilled professional photographers and independent artists," and receiving that label comes with a lot of work and prep. A photographer submits a portfolio of 150 images to be reviewed by 3-5 judges who score her in six different categories. A score of 32 is needed for acceptance and for that sought after #clickpro hashtag. I plan to apply by Memorial Day. Hold me to it. 3) Learn video. My camera is awesome (Nikon D750) and it is my third child. We've been together for nearly two years, yet I haven't scratched the surface of everything it has to offer, including video. I dabble here and there, but in 2018 I'd really like to create some video content for my family and the families I photograph. So that's the big three! (Shout out if you get that This Is Us reference). Cheers to a fun and productive 2018! Let's check in at the halfway mark in June, shall we? 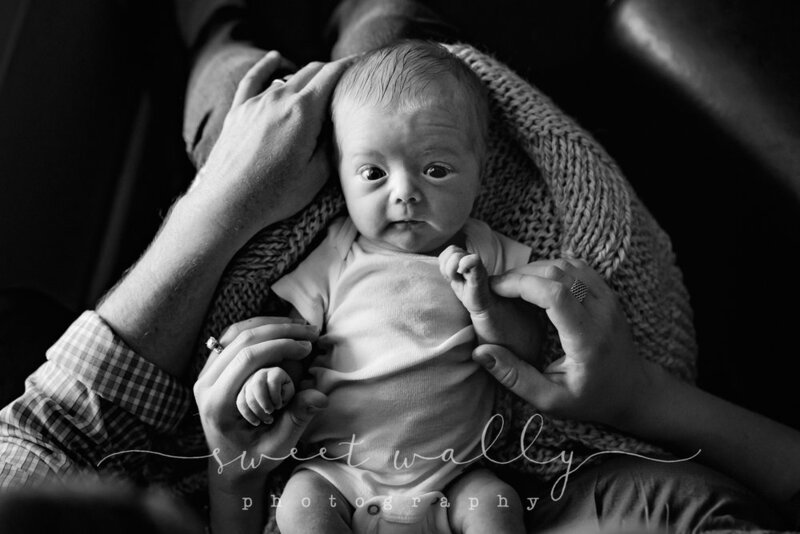 Whitney Williams of Sweet Wally Photography is a maternity & lifestyle newborn photographer serving Bowling Green, Kentucky, and Nashville, Tennessee. She loves photographing babies, bellies and her everyday at home with her kiddos. These are the words every photographer loves to here: "We can shoot wherever you think will look good." I had a new location in mind for maternity portraits, but I receive so many requests for the sunny field sessions, that I hadn't had anyone game for changing it up. Until this twosome (with one on the way) came around and trusted me to take them somewhere I couldn't even show them an example of. Young and in love and willing to take a chance - my kind of couple! And I believe their trust was rewarded! And she picked the perfect waterside dress to boot. Enjoy this obviously-in-love couple excited for their baby girl! This is definitely a new favorite spot for me! But unfortunately it is only available for short periods of time at low tide. If you're interested in photographing your baby bump here, please reach out here and we'll make a plan! Whitney Williams of Sweet Wally Photography specializes in photographing the first moments of motherhood. She serves the Nashville, Tennessee, area and Bowling Green, Kentucky, and is always up for travel.